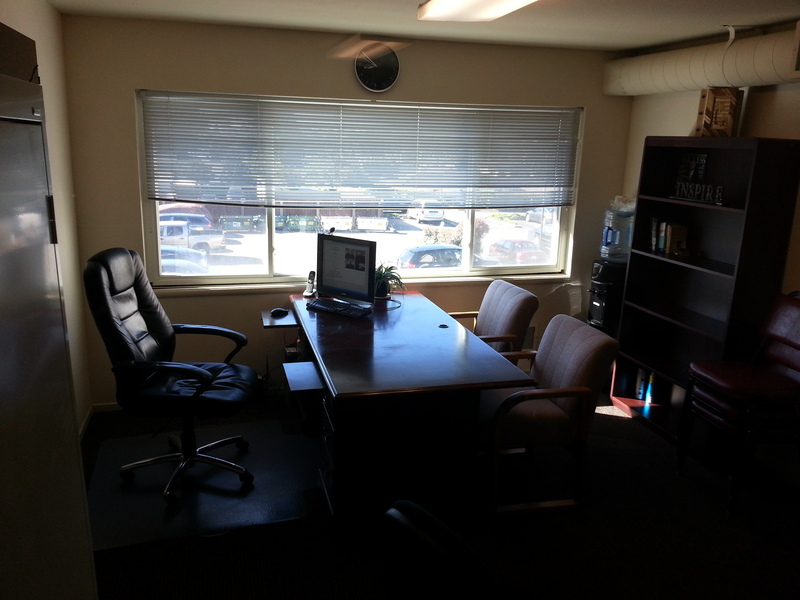 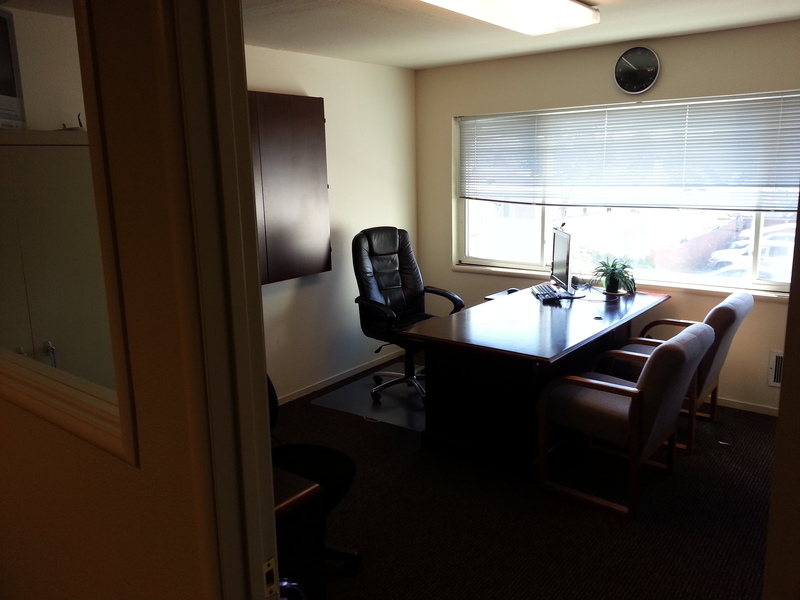 Along with a fully equipped meeting room, the Castro Valley location also includes an attached inner office. 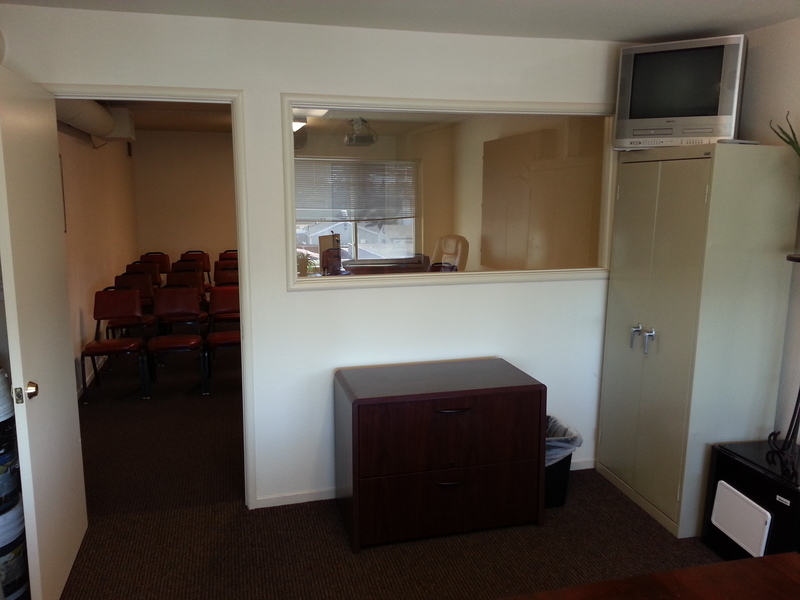 This executive office is equipped with a large cherry wood desk, computer, two guest chairs, whiteboard, mini refrigerator, television and a DVD/VHS combo player. 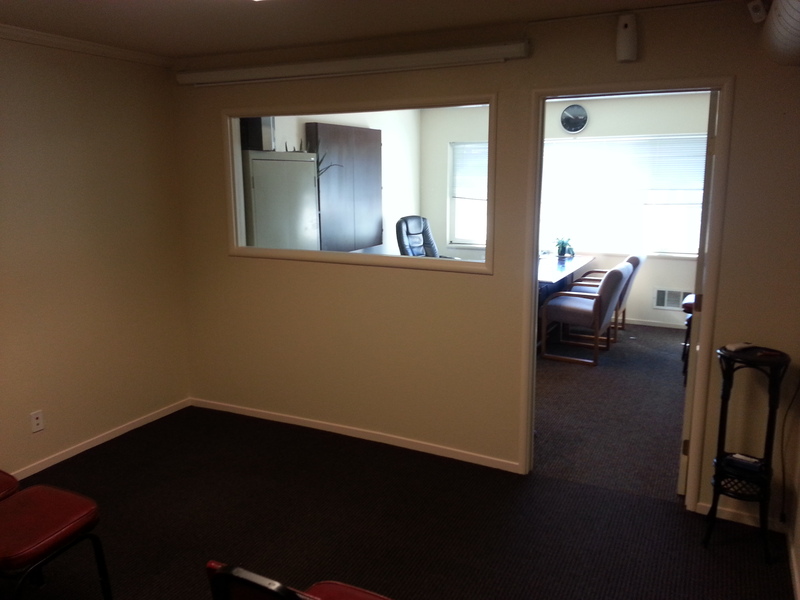 This second room is great as a second meeting room, working office, interview room, etc. 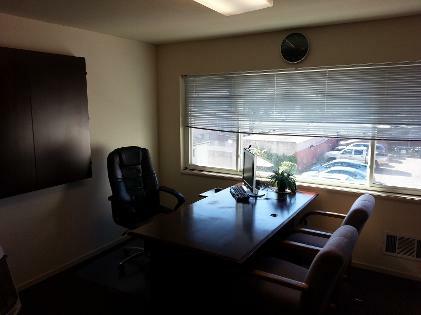 The Castro Valley location is truly a 2 for 1 special!